Was he faster than Bruce Lee? GM Vic Moore said that he has blocked two punches of Bruce Lee, but we have a video witnessing that event, check this to know the truth!! 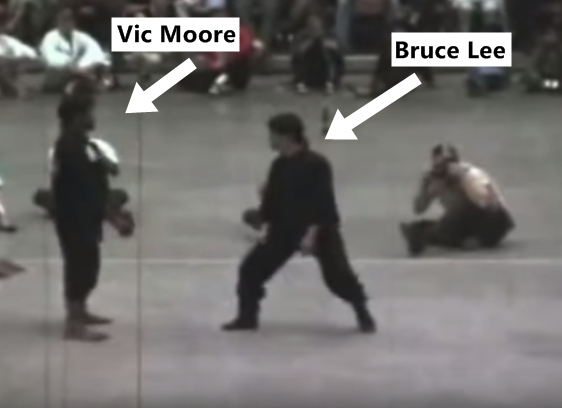 This is 1967 when Bruce Lee performed various SHORT DEMONSTRATIONS Long Beach International Karate Championships including the "unstoppable punch" against USKA world Karate champion Vic Moore.